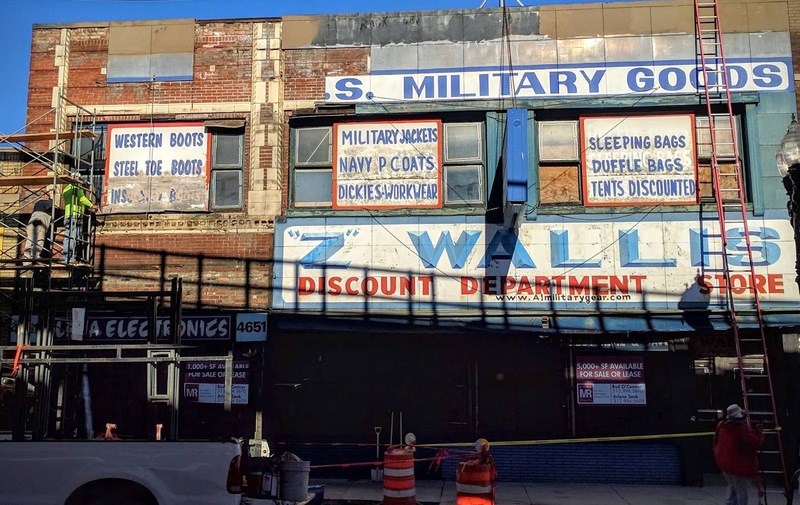 We are hearing that CLK Properties, the company that recently bought the Norman Hotel (1325 West Wilson), among other Uptown properties, intends to buy the former Z Wallis Army Surplus store on the rapidly changing 4600 block of Broadway. The part of the news that really has us excited is that the company apparently intends to do an historic rehab of the building, and may even add back a couple of stories, returning the building to its original four stories (pictured to the right in the 1930s). The building dates back to 1905. Already, some of the metal panels that were attached to the building at some point in the past have been removed, revealing the original terra cotta that has been hidden for decades. If all goes as planned, CLK will put an office in the building upon completion. It's far from a sure thing at this point, but we've heard this from a reliable source. We'll keep you informed as we learn more. Good news on the restoration. 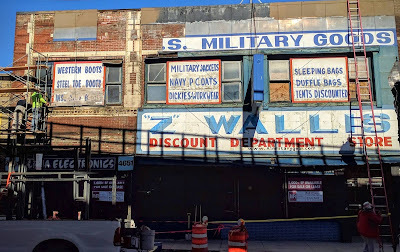 Heck, I'd be happy if they even brought back those 70s era wooden "military surplus cheap!" signs. It boggles the mind that back in the day someone would go to the trouble and expense to lop two floors off what apparently was a stately building. I'll bet there's a story behind that.